You've Probably Heard of Bigfoot Beer. Well, Now There's A "Mr. Powell" Beer! 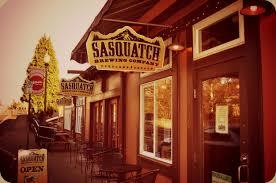 At the Sasquatch Brew-Pub in Portland, No Less! Thom Powell finally put down the chalk...for good. After 31 years in the same building and the same classroom, Thom Powell is moving on, as in, retiring from teaching. And at Sasquatch Brewing, across the Stevens Creek ravine from his old haunt at Robert Gray Middle School, a parent of two former students who also owns the brewery, Tom Simms, decided to honor the legacy of science educator and sasquatch expert Thom Powell with a pale ale named "Mr. Powell". 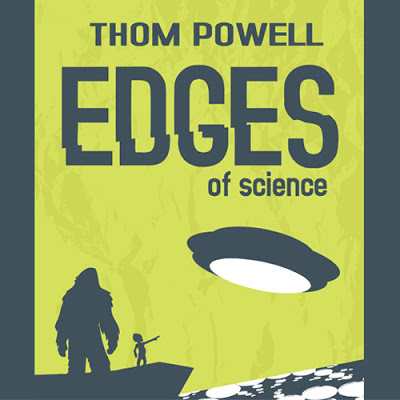 "Mr. Powell" is, after all, the way a generation of southwest Portland middle school students have come to know local author and bigfoot researcher Thom Powell. And you will be pleased to know two other details: First, owner Tom Simms has pledged to donate one dollar for every glass (!) of Mr. Powell ale sold, to the charity of Thom Powell's choice. Second, Thom Powell gives the beer two thumbs up. It is a light, refreshing, and oh-so-drinkable summer ale, which is very similar to the highly-popular Mirror Pond Pale Ale that has been a flagship brand of Deschutes Brewing of Bend, Oregon. 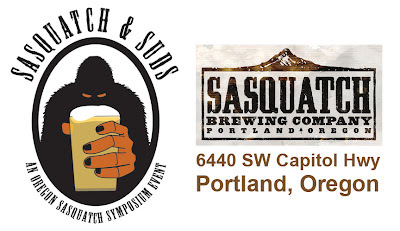 Oh, and what happens to be the logo of Sasquatch Brewing? A view of Mt. Hood, of course. Could it be more perfect? Thank you Tom Simms and all the good folks at Sasquatch Brewing, for honoring Thom Powell's 3 decades of teaching and sasquatch advocacy. As for the charity of choice, it didn't take very long: 'BARK' is a local Portland-based non-profit that serves as the official watchdog organization of the Mt. Hood National Forest and the sometimes screwy policies that are forced upon the good people who work there by a federal government that is not often including the resident population of mysterious beings (i.e. sasquatch or bigfoot) in their day-to-day management decisions. Click here for a link to BARK's homepage. And do, to the good people at BARK, we hope the money is helpful, even if you don't spend it on a sasquatch viewing platform. That said, we would also like to offer an olive-branch and a vote of confidence to all the good people and federal employees who work for the Mt. Hood National Forest. In many ways, you are equally deserving of the donation, but being an arm of the federal government, you aren't technically a non-profit. Indeed, we at Thomsquatch are very favorably disposed toward all the good people who work at 'the Hood'. Heck, many friends and neighbors of Thom Powell were or still are employed by the Mt, Hood National Forest. Thom spent two summers doing wildlife research in the Mt Hood National Forest back in 2002-2003. Thom's daughter was an intern at the Mt. Hood National Forest before she was hired by Oregon Department of Fish and Wildlife. We're cheering for all you good people at 'The Hood'. It is our hope that you can continue to operate with BARK, as you already are, as partners rather than adversaries. BARK is an organization with a heart that is in the right place. That heart lies with more preservation and less exploitation of the fantastic public resource that IS the Mt. Hood National Forest. It is our feeling here at Thomsquatch that the future of 'The Hood', and the future economy of the surrounding communities, lies in tourism not timber extraction. Some timber will always be taken from The Hood, but the burgeoning population and the enduring desire for recreational space by the nation's entire population, will ultimately supreceed the short-term gain of the corporate sector. The ever-increasing demand for quality recreational experiences will dictate a permanent re-prioritizing of the mission of the Mt. Hood National Forest in the exact direction that BARK has embraced from their inception: recreation, appreciation, preservation, and limited commercial exploitation. Remember, too, that ALL public lands, especially forest lands, suddenly have a new and urgent priority: they must serve the dual purpose of carbon sinks and greenhouse gas buffers. Trees, not saw logs, are the absolute key to worldwide carbon reduction and the preservation of our fragile, life-sustaining atmosphere. Greenhouse gas reduction is a world priority, as well as a priority policy of the federal government as stated by President Obama. Toward that end, our million acre Mt. Hood National Forest is a jewel that is worthy of permanent, responsible stewardship with a particular emphasis on air and water purification. That is something that all humans, sasquatches, environmental activists, career foresters, and beer-drinkers can agree upon. So drink up ale-drinkers, and thank you Tom Simms for honoring the teaching career of bigfoot researcher Thom Powell. It is an honor. After all, how many teachers have their own beer? A tribute to Thom Powell, Robert Gray Middle School teacher and world renowned Sasquatch expert. He's retiring after three decades inspiring kids. We'll be donating $1.00 for every pint of Mr. Powell sold to a charity of his choice! I've just been listening to your lectures and was compelled to write. I don't "do" social media so thought I'd post to you here.. The way that you present your research and findings is very refreshing.. And funny, I was entertained, not an easy thing.. But seriously, your genuine approach and impeccable delivery of the info is captivating. Thanks for sharing your findings! And I hope to see you lecture somewhere in the Northeast sometime soon. In the meantime, I'm anxious to read Edges Of Science.